For the third year in a row, Millbrook Vineyard and Winery, the Hudson Valley’s perennial wine flagship, won the Hudson Valley Winery of the Year award at the 2014 Hudson Valley Wine and Spirits Competition. 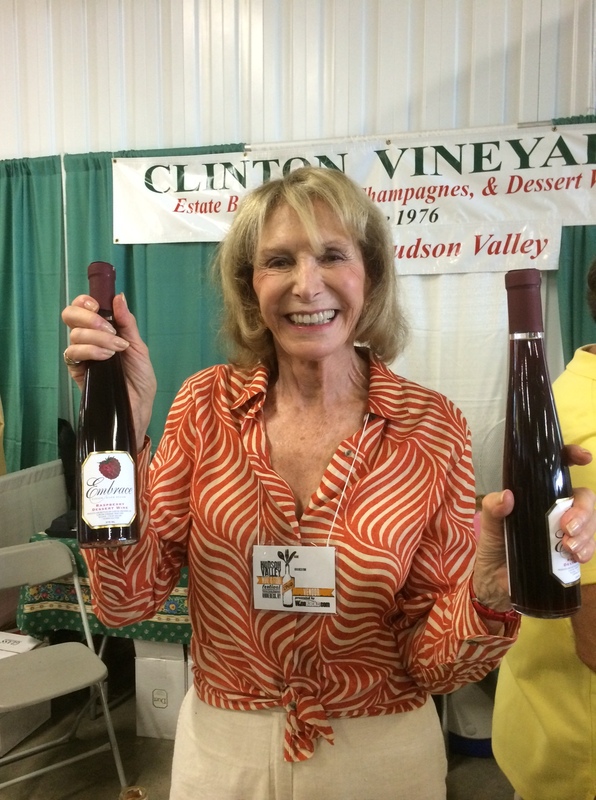 But it faced plenty of contenders for the accolade this year, especially from Clinton Vineyards, which scored a trifecta of top honors for its “Embrace” — a raspberry-based dessert wine — that won Best in Show, Best Overall Hudson Valley Wine (made with HV fruit) and Best Dessert Wine. This Clinton triumph was backed up by other top awards, too, including Best Sparkling Wine for its Seyval Naturel (NV), and a Double Gold for its Cassis, which was my choice for Best Dessert Wine, and certainly one of the top entries of the competition. I was again honored to be a judge at the competition, which has expanded considerably in recent years. And while 80% of the over 100 entries medaled in some hue — there were hardly any “bad” wines in my view — the proportion of Gold and Double Golds among the medalists (15.5%) was clearly down from last year (a record 35%), and even from 2012 (19%). Perhaps this was vintage-driven. Maybe the collection of judges took a tougher approach than previously. In any case, it’s a curious drop-off. Still, a clear plurality of medals (44%) was Silver, indicating a solid level of quality overall. A big thank you goes to Debbie Gioquindo, “the Hudson Valley Wine Goddess“, and her team for organizing the competition yet again. 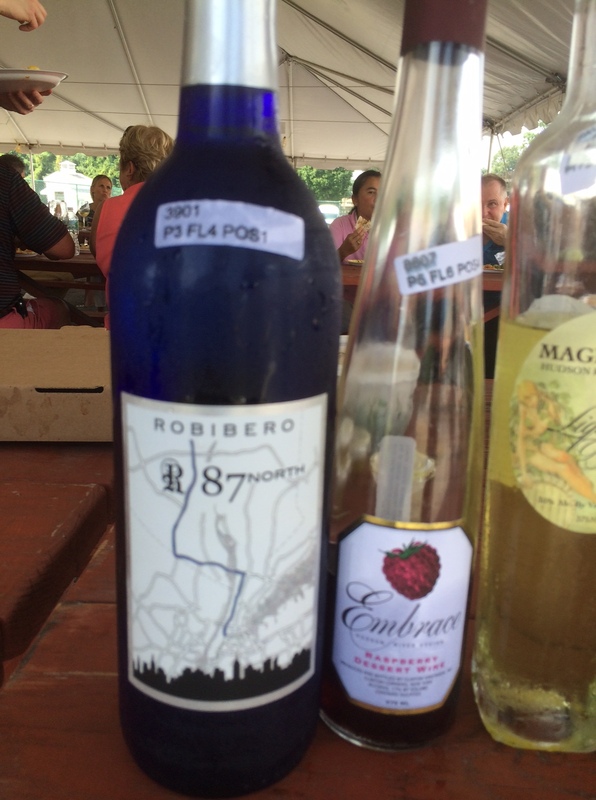 Another winery that excelled in the “Best of” categories for 2014 was Robibero Family Vineyards, garnering Best White Wine for its estimable 2013 87 North and Best Rose’ for its 2013 New Yorkie. The 87 North was, in fact, my vote for Best in Show, a French-American hybrid blend (60% Vidal, 40% Cayuga) that drinks like a vinifera-based wine, with pretty peach and tropical fruit notes and excellent balance. For its part, Millbrook also took home Best Red Wine honors with its 2012 Proprietor’s Special Reserve Cabernet Franc. Cab Franc is a vinifera red grape that does well in the Hudson Valley’s challenging climate, and arguably should be — and is becoming — a signature grape for the Valley. Millbrook also scored a Gold for its 2013 Proprietor’s Special Reserve Riesling, the highly anticipated first vintage of this estate grown wine, and an important bellwether of Riesling’s potential for the Hudson River Region. In a major surprise — at least to me — the Best Spirit went to a grappa-based tipple, Maganini Winery’s Liqueur made with Grappa & Limone. I had expected one of the HV’s growing number of quality whiskeys to win the Gold, but then again, I am originally from Tennessee (it’s a DNA thing). Rounding out the major categories, fruit wine specialist Baldwin Vineyards won Best Fruit Wine for its Apple Wine (no surprise here), and Naked Flock Original received the Best Cider distinction. (Hard) cider is a fast-growing segment of the HV craft beverage scene; we’ve got lots of great apples up here — and potential for more, specifically geared to cider production! Complete competition results are available here. This entry was posted in Beer + Cider, Hudson Valley, Spirits + Cocktails, Wine and tagged 2014 Hudson Valley Wine & Spirits Competition, Baldwin Vineyards, Clinton Vineyards, Hudson Valley Wine, Hudson Valley Wine Goddess, Maganini Winery, Millbrook Vineyard and Winery, Naked Flock, Phyllis Feder, Robibero Family Vineyard. Bookmark the permalink.